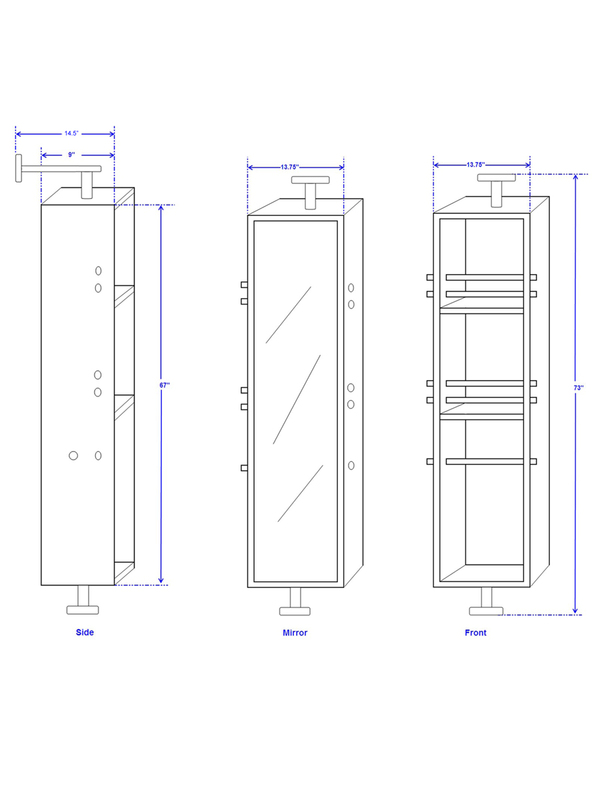 The April Rotating Floor Cabinet offers a unique take on bathroom side cabinets! It features a modern design where it can be mounted to the floor. 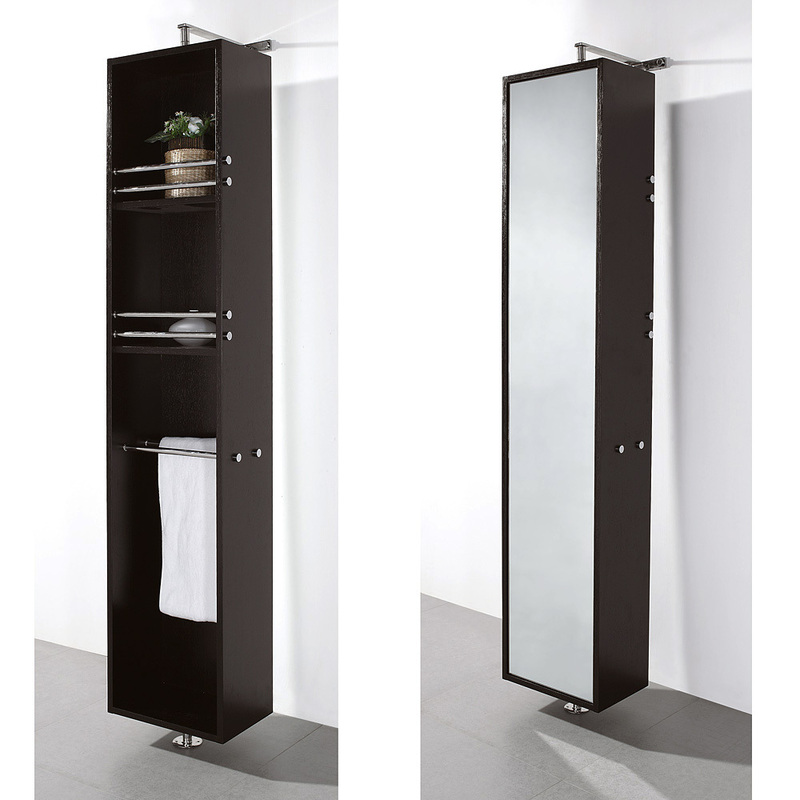 On one side, a full-length mirror gives it an additional function, then when rotated, it reveals two shelves and two towel bars. Great for adding an original look to your bathroom that's also functional!